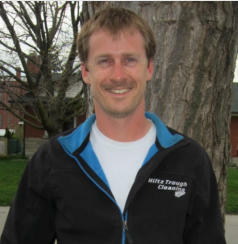 Mark McLimont Mark is the current owner and operator of Hiltz Trough Cleaning. He joined the business in the Spring of 2014. He brings many years of property maintenance and repair experience with him. Hiltz Trough Cleaning has been serving K-W, Cambridge, Guelph and surrounding areas since 2006. We take pride in our work and make sure every customer is happy with our services, plus we are fully insured to offer peace of mind to all our customers. We love a challenge, so if you have some work that you need to get done, give us a call and we would love to help you.